I’ve been busy working on projects this weekend and just wanted to take a minute and share this little Halloween Boo Boo ATC with you that I made with Globecraft Memories products. The clip art is from Red Lead Paperworks (a free download) and the ATC is constructed on an ATC-size Globecraft Memories Card Decor punch-out. It’s my first ATC that I can remember ever making. I’ve avoided them like the plague because of the smaller dimension but actually enjoyed creating it and watching it come together very much! For the most part I used Globecraft Memories Glastique for the adhesive, sealer and dimensional finish along with the company’s new Cool-Set Enameling Gels. You can find complete instructions in a tutorial on the Globecraft Memories Blog and you can shop for the Globecraft products right from my blog if you cannot find them locally (just click the Globecraft Memories ‘shop’ button on the sidebar). It really isn’t that hard to work on the smaller surface. I just found that I had to edit the embellishments down so I wouldn’t detract from that gorgeous face and those haunting little goblins! This could also be used as a knob hangar for a door, cupboard or window by adding ribbon or wire to the top for hanging. It would also work well as an embellishment on a scrapbook page. 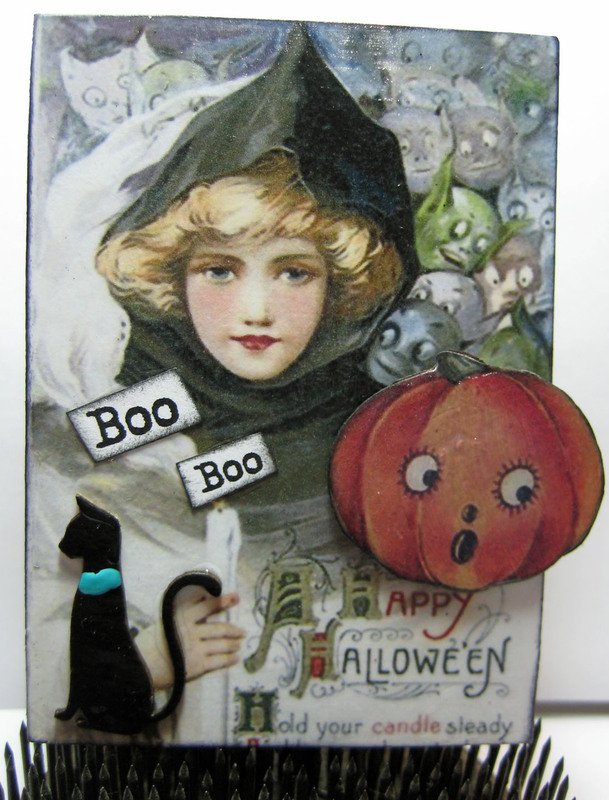 Linda – “Boo”tiful ATC…I love to hang them on gift bags. Great ATC! Love the face on that pumpkin!! Thank you! I love his expression as well. Linda, your ATC is creative and inventive. The cat sets the everything off. A Happy Halloween to you too. 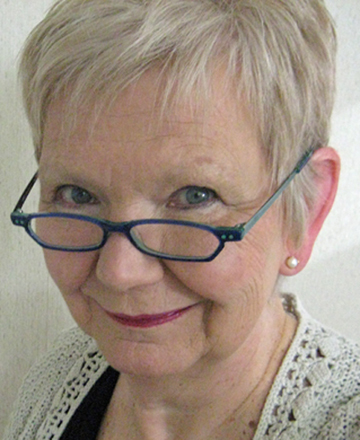 Thank you, Barbara! I had great fun making it and I love that little black cat too. A Happy Halloween right back at you!